You’ve probably heard something like this, or even said it yourself. And that attitude is totally understandable. It’s completely normal to look for some kind of simple yes-or-no list of foods that you are and aren’t allowed to eat – just pin it to the fridge, eat only from the “yes” column, and lose weight automatically because hey, you’re eating Paleo, right? Lists of “allowed” and “forbidden” food are how we’re used to seeing “diets” set up. It’s a familiar promise: just eat this and not that, and get the results you want (although usually the downside is that the list of foods has to be incredibly restrictive to make that system work). But we all know the huge problem with “diets:” once you go off them, you haven’t learned any skills or principles for healthy eating in the long run. That’s one of the big differences between Paleo and a “diet:” Paleo is more than just a list of foods you are and aren’t “allowed” to eat. That list of foods is the letter of the law. But Paleo is also about the spirit of the law. The spirit of the law is not about what specific foods you eat or don’t eat; it’s about how you approach food in general. Seeing Paleo as nothing but a “yes/no” list of foods is a problem because it ignores the spirit of the diet – and without the spirit, it’s easy to do some pretty unhealthy things technically within the letter of the law. To truly eat Paleo, you have to do both. Just to be clear on the distinction, here’s a chart breaking down the differences. 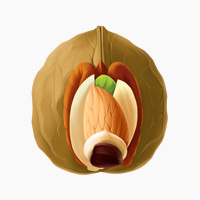 On Paleo, you can eat meat, vegetables, fruit, nuts, spices, herbs, and healthy fats. On Paleo, you cannot eat grains, legumes, junk fats and industrial seed oils, sugar, or processed food. Dairy and alcohol are gray areas that may or may not be OK for you personally, depending on your body. Paleo is about learning to love healthy food, not about imitating junk food with technically “better” ingredients. Food is primarily for nutrition, not for fun or comfort. Most of the space on your plate should be filled with nutrient-dense “fuel foods:” meat (or eggs) and vegetables (both starchy and non-starchy). A Paleo diet is designed to be anti-inflammatory, gut-friendly, and metabolically healing – that’s the whole point of the food restrictions. They’re not just there for fun. Hunger is not the enemy. Eat when you’re hungry and stop when you’re full; don’t starve yourself or count calories. “If almonds are Paleo, and honey is Paleo, then it’s perfectly healthy to eat almond-flour pancakes for breakfast every day, because I’ve replaced all the “bad” ingredients with “good” ones.” (this is not actually healthy, because nuts contain high levels of potentially inflammatory Omega-6 fats, and crowding out more nutritious breakfast foods like eggs and meat for the sake of imitation pancakes is violating the spirit of food as primarily for nutrition). These are incredibly common beginner mistakes (although not always in such an extreme form), and they all have the same root cause: focusing on Paleo as nothing but a list of allowed and forbidden foods, and ignoring the spirit of it. It’s easier to just focus on the letter of the law, because it doesn’t actually require you to change the way you think about food. “Junk food” is about the mental (eating when you’re not hungry just for fun, eating to deal with emotions) as much as the physical. If you simply replace wheat flour with almond flour and white sugar with honey, you aren’t really cutting “junk food” out of your diet, because you’re still eating relatively nutrient-poor, sugar-rich foods for fun. So you don’t have to give up the (false) comfort of a sugar rush when you’re bored or lonely; you just have to get it from dates and honey instead of white sugar! Except that this is completely contrary to the spirit of Paleo. And if you aren’t following the spirit of Paleo, you aren’t really eating Paleo, and you certainly can’t expect the health benefits of actually following the spirit of the diet. Following the spirit of Paleo is what makes it actually work, because it helps you change your behavior around food for the long run, not just temporarily as part of a “diet” that you go on to lose 10 pounds in 6 weeks. If you want to see long-term success, don’t just look at the list of foods allowed and not allowed, and immediately start planning the junk-food imitations that you can “get away with” within those restrictions. That’s not how Paleo works. Start with the spirit of Paleo, and then look at how you can make meals like that with ingredients on the “allowed” list. This doesn’t mean that you can’t ever enjoy Paleo treats! It just means that they should be just that: treats, not everyday foods, and certainly not a 1:1 replacement for grain-based junk. A meal on Paleo is meat + vegetables + fat + (optionally) starch; if you’d like to add some fruit or nuts to that on the side, that’s fine. Once you’re eating that way, having Paleo cookies once in a while because they taste good is totally fine. A very common beginner mistake with Paleo is to treat it like any other diet: a list of allowed and forbidden foods, with the understanding that all you have to do is choose foods from the “allowed” list without paying attention to quantity or proportion. This is the attitude that leads to people eating way too much nut-based Paleo baking (usually sweetened with honey, dates, maple syrup, or some other technically-Paleo sweetener – “natural” sugar is still sugar!). Sure, these things might be healthier than the grain-based treats they’re replacing, but that doesn’t put them within the spirit of Paleo. Just because something is technically a Paleo food doesn’t make it healthy at all times and in all amounts for all people. Instead of just checking whether or not it’s “allowed,” also check to see whether it actually fits the spirit of Paleo: eating mostly for nutrition, with a heavy emphasis on the animal protein, healthy fats, and fresh vegetables. 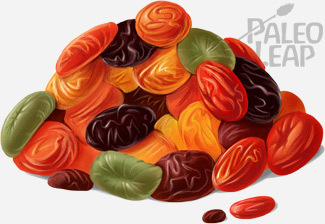 This doesn’t entirely exclude all forms of treats and “pleasure foods;” it just means you have to keep them to actually being treats, and make sure most of your meals, most of the time are following the basic meat/vegetable/fat template with optional added starch, fruit, and nuts. That’s the spirit of the law, and that’s where you’ll actually see results.